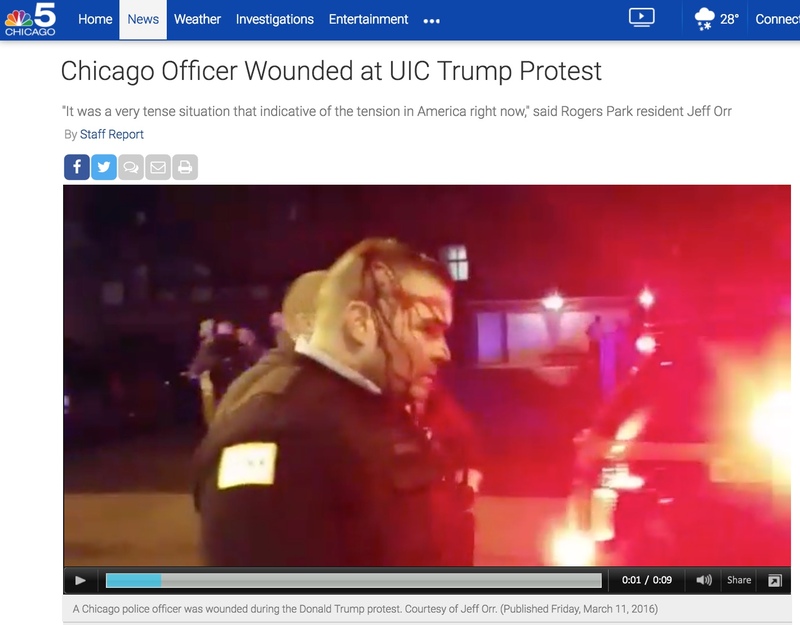 2016.03.11 – Riots After Trump Chicago Rally Cancelled. Police Officer Attacked by Anti-Trump Protesters. Blocking Ambulance.